Lydiaâ€™s Uniforms sells medical uniforms, scrubs and medical supplies of famous brands to professionals. The product range includes scrubs, lab coats, shoes, maternity clothes and medical tools. 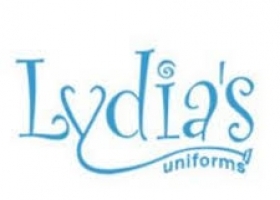 Its two latest collections, Lydia's Pro Series and Lydia's Pro Stretch, are exclusively available at Lydiaâ€™s Uniforms. Its quality services, fast shipping and wide selection of uniforms contribute to positive customer feedback.